A fantastic tool for all types of business is Google Places. 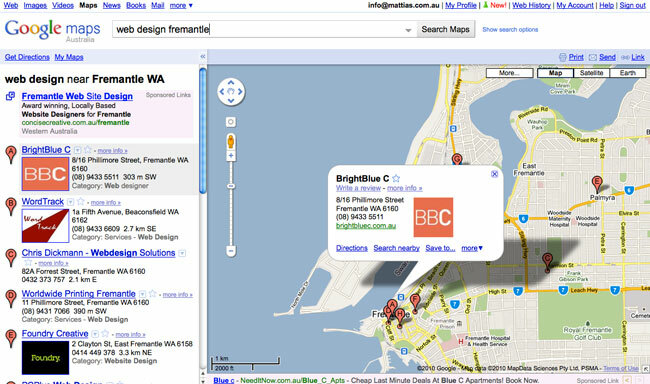 Place Pages connect people to information from across the web via results displayed within a Google Map. This allows users to narrow down their search to within a certain geographical area. For business owners this is a very powerful way of directing traffic to your website or to display their business contact details to a specific local audience. We have implemented optimized Google Business Listings for many of our clients and have had great results. 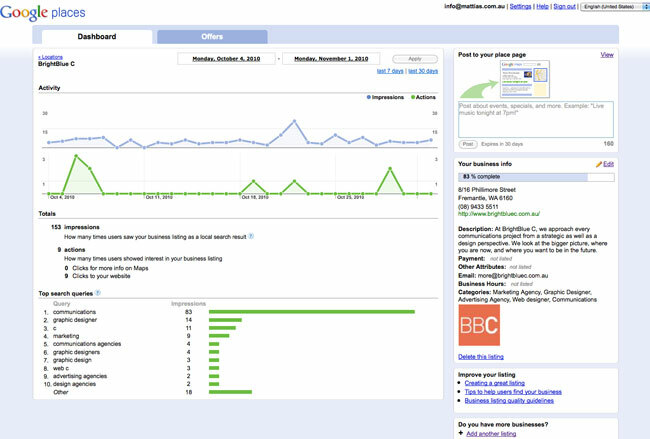 One of the main benefits has been the access to in depth reporting statistics. Get in touch with BrightBlue C today to find out more.